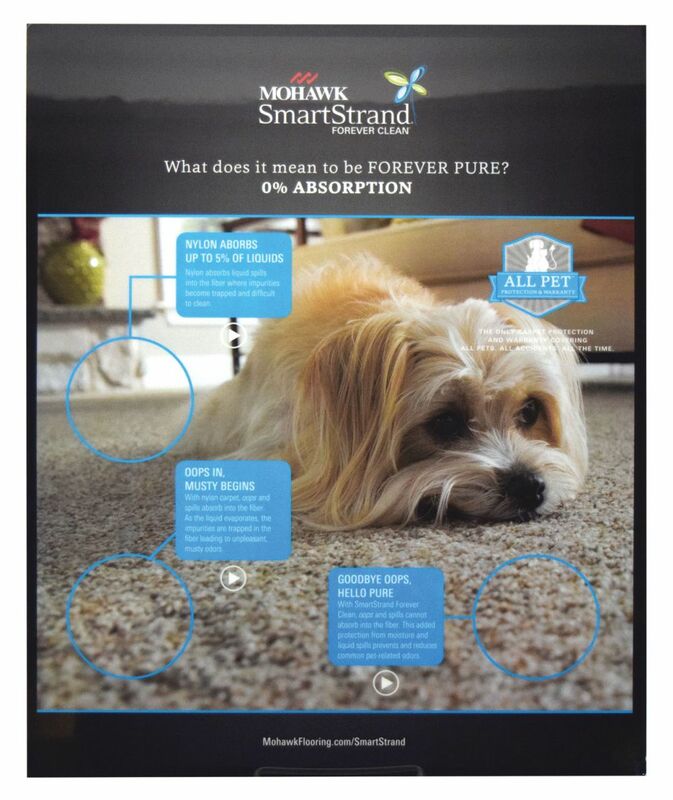 Mohawk was ready to debut its SmartStrand Forever Clean carpet with All Pet Protection and Warranty, and it needed an in-store display to highlight the benefits of a pet-friendly carpet protection system that covers all pets, all accidents, all the time. Americhip partnered with Mohawk using our LED Reveal technology to create an engaging and interactive display that could withstand the rugged environment of a retail carpet store. 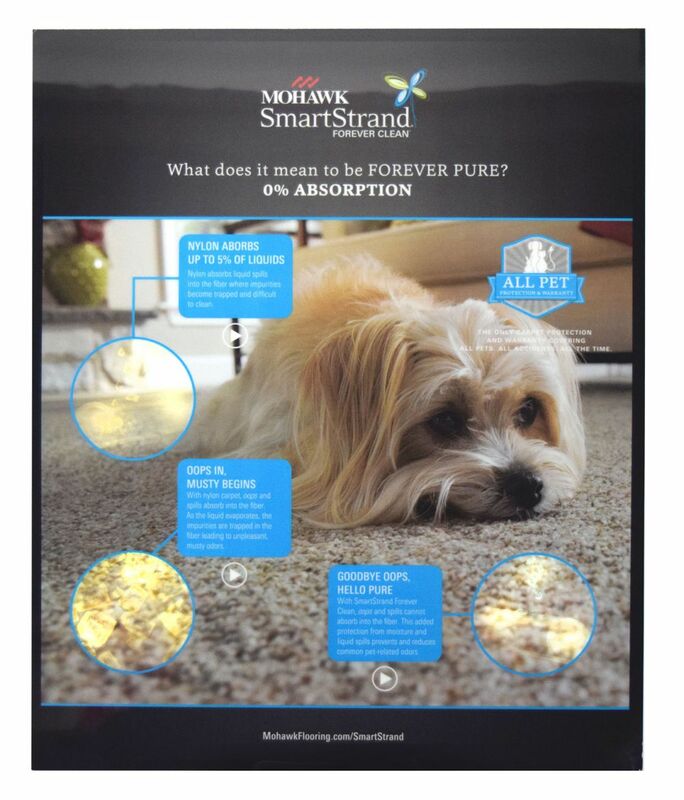 Given the nature of animal lovers, we started with a large image of a white Shih Tzu sprawled across a carpet to help illustrate that this product is all about having a clean, fresh home even when your house is full of pets. We then used our proprietary LED Reveal technology to backlight the display in three areas. 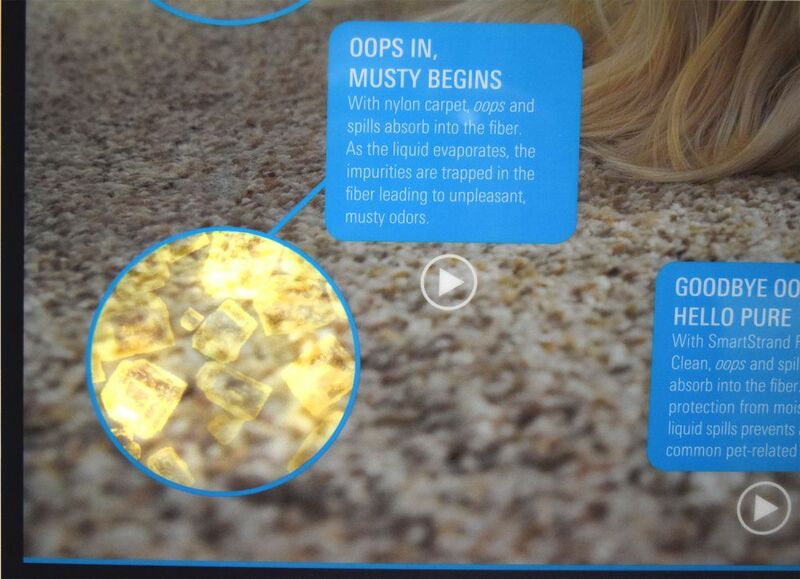 With the push of each button, consumers would immediately see a new image revealed within the display scene demonstrating how the product keeps the carpet fresh. The display included replaceable batteries so it can be kept in store for a full year. 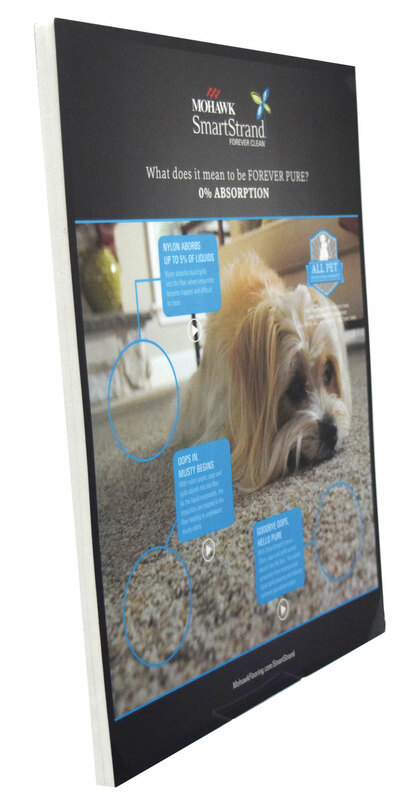 Use our LED Reveal Display Technology to grab attention, engage and educate your consumers.